Thank you for taking the time to visit our website. We specialize in assisting buyers and sellers in the Mariposa/Yosemite, CA area. Our website contains ALL real estate listings from ALL Real Estate Agents. Please feel free to explore the website and if you have any questions, would like to see a home in person or to discuss the value of your property, please give us a call today. We Buy & Sell Homes in Mariposa, Midpines, Catheys Valley, CA and Surrounding Areas. If you haven't already we cordially invite you to discover Mariposa, California. Located on State Highway 140 one of the gateways to spectacular Yosemite National Park and the year-round entrance to Yosemite Valley. Mariposa is also situated on the southern end of the "Golden Chain", State Highway 49 which starts 26 miles south in Oakhurst and runs through the Mother Lode all the way to northwest of Reno, Nevada. For those of us fortunate enough to live here in an area we feel is one of California's best kept secrets, life is good. Away from the hustle and bustle of city life Mariposa offers a lifestyle all its own. "It's a lifestyle that you can't unless you live it", is what someone recently said. 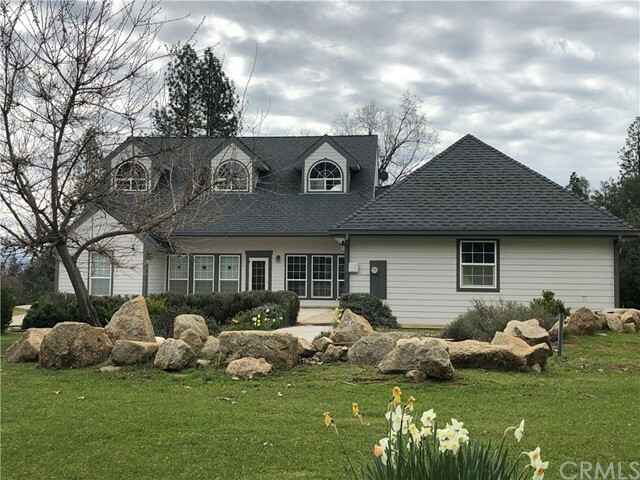 Established in 1979, Daily & Company has been providing expert real estate service in Mariposa, Midpines, Catheys Valley, CA and surrounding areas for over 30 years. We must be doing something right as we start our 40th year in business. Whether you're looking for a primary home, a second home, a parcel of land, a business opportunity or maybe even a ranch, we offer it all. Whatever your situation or desire we hope that you will allow Daily & Company the opportunity of professionally assisting you with your real estate needs. Once again we welcome you to our town and our county. A place on earth unlike any other. "Above the fog, below the snow and delightfully behind the times"
New Mariposa Listing with 3 bedrooms, 2 bathrooms and 2052 square. "GIDDY UP AND YEEEE HAW. 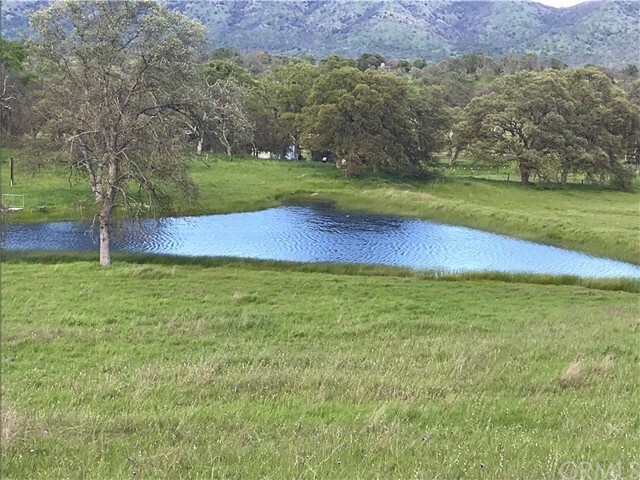 A TRULY special location on a beautiful 6 plus acres with a stunning POND accompanied by massive granite outcroppings and dotted oh so perfectly throughout other areas of this gorgeous land. Multiple fenced and gated pastures, SHOP, Water storage tank, 2 Wells and a 4 STALL HORSE BARN. After playin in the Pond and nurturing your potential master gardens come on in and relax in your ranch style home with its large kitchen, 3 spacious bedrooms and cozy western themed living room with log wall accents while enjoying the roaring wood fireplace fit for a ranchin family. BONUS room off laundry room could be used as a home office, pool room or what ever you'd like. Freshly painted inside all interior rooms except bonus room. HOME IS PRICED TO SELL QUICKLY." New Mariposa Listing with 2 bedrooms, 2 bathrooms and 1040 square. "Own your own Family Farm with this LOVELY 23 ACRE PARCEL featuring the Chowchilla River running right through it. What a great place to raise animals and even a handful of Happy Horses. Fenced and Cross Fenced. Let your vision enable you to concentrate on the sweet floor plan with 1040 SF that includes two nice sized bedrooms, one bedroom on each end of the house (each with its own separate bath), and a living room with a Fireplace encased in rock with slate hearth. Simple, but functional kitchen that comes with Fridge. 320 SF Basement has its own heat and would serve nicely as a Hobby Room or Home Gym. Just outside the kitchen door is the Washer/Dryer closet. Large Deck with handicap ramp. 1200 SF Detached Garage has concrete floor and bathroom. Circular Drive and Building Site with its own water, septic and power. Boulders and Rock Outcroppings dot this usable 23 acre parcel. All Pest repairs have been done and Certified. By now you should be inspired to make an appointment for your own private viewing... A little love and patience could turn this property into a showplace." New Mariposa Listing with 3 bedrooms, 3 bathrooms and 3100 square. "Custom Home situated on 13 ACRES of Prime, Peaceful, Paradise. Gorgeous Mountain VIEWS in all directions. Three Bedrooms, Three Full Baths. Two story with 1000 sf of space on the upper level (alone) including a Third Full Bath with walk-in shower. Upper level also has independent heat and air system. Lots of windows provide Visual access to the outdoors and allow plenty of natural daylight in. The layout of the kitchen is quite efficient and includes double ovens, propane stove, maple cabinetry and tile floors. Interior doorways are wheel chair accessible. French doors open up to the sounds of nature from the Great Room, Kitchen and Master Bedroom. Enjoy the Indoor Spa on those rainy days and the Striking Mountain Views from the veranda anytime. Secluded location offers deafening sounds of quiet and Stunning Star Gazing at night like you would expect to experience. 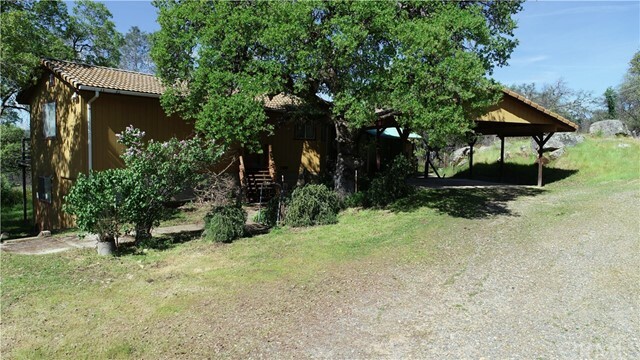 Secluded yet still close to Restaurants, Groceries and Historical Sites this property is located between Mariposa town and Oakhurst. Easy day trips to Yosemite National Park. Definitely worth viewing." New Mariposa Listing with 3 bedrooms, 3 bathrooms and 2055 square. "A GARDEN LOVERS OASIS with over 100+ trees and multiple garden zen areas abundant throughout with the calming sounds of water flowing through its meandering seasonal stream. CUSTOM, 2055 Sq Ft 3brm/3 ba home, FEATURES VAULTED CEILINGS, GORGEOUS TOP OF THE LINE COOK'S KITCHEN, WOOD LAMINATE FLOORING, RECESSED LIGHTING, LAUNDRY ROOM W/GRANITE, FINISHED GARAGE, AND SOLA. YOUR LOVELY MASTER IS DRENCHED IN LIGHT W/2 VERY LARGE WALK IN CLOSETS, OFFERING LUXURY MSTR BATH w/ JETTED TUB,WALK IN SHOWER and FRENCH DOORS LEADING OUT TO YOUR COVERED PATIO FENCED IN FOR THE PUPS OR KIDDOS. 2 BDRMS AT OPPOSITE END OF HOME OFFER JACK AND JILL BATH W/GRANITE COUNTER TOPS AND DBL SINKS. BONUS ADJACENT IMPROVED LOT WITH POWER (SHARED WELL) AND SEPTIC COMES W/ HOUSE PLANS ALL ON LEVEL LAND. 3 LARGE SHEDS COME WITH ALSO. THIS IS A SUPER INVESTMENT FOR THE FAMILY NEEDING A SECOND HOME OR GUEST HOUSE IN AN IDEAL MOUNTAIN NEIGHBORHOOD WITH LAKE, PONDS, and CLUBHOUSE JUST STEPS AWAY. WHAT MORE COULD YOU ASK FOR? YOUR OWN NEW MOUNTAIN RETREAT AWAITS. 2 APNS." New Catheys Valley Listing with 2 bedrooms, 2 bathrooms and 1795 square. 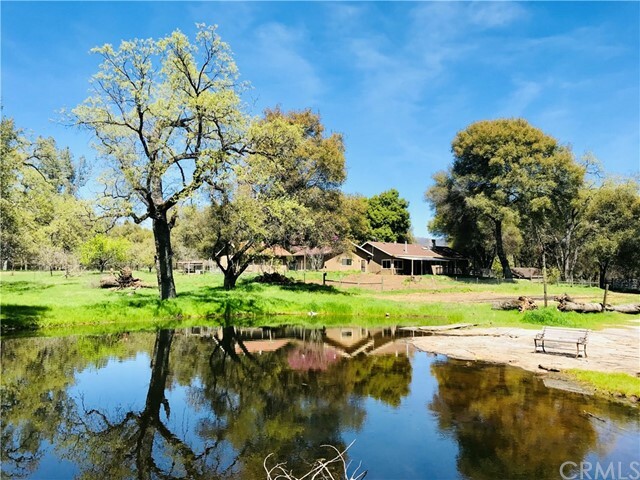 "Looking for a great location within walking distance to the Sierra Foothill Charter School, with 23 acres, a pond, a couple of outbuildings and a home for $385,000? Well here it is! This home was once quite a place but age has taken a toll on this older home with lots a character and charm. The home needs a lot of work but has good bones. The home is approximately 1800SF, 2 BR/2BA with a large office and it also has a 1090+/- SF basement. The 23 acres is gorgeous and fenced for livestock in the back side of the property where the pond is. Come and take a look at this great location! The driveway is directly across the street from the schools driveway!"